The road from Jubrique to Algatocin descends to the Rio Genal. 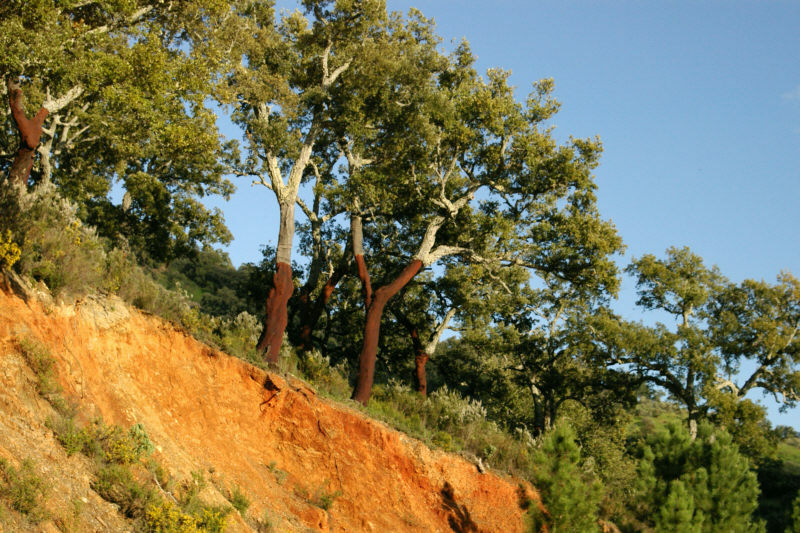 As the road begins its climb to Algatocin, we found Cork Oaks (Quercus suber), from which the cork had been removed recently. There was also a yard where the cork was apparently stored before processing.